The 5 year old golf course is a result of the vision and determination of one man: developer Mark Brumer. Despite many setbacks and hold-ups, largely by the Department of Environmental Affairs and Developmental Planning, the project took much longer to complete than its original launch date of 2004. “But looking at the result today there could not be a prouder man”, says Brumer. “It has been worth the wait, but all the credit should go to the superb team of professionals and contractors who stuck by me through this entire process”. The elevated stands in Silwerstrand’s most exclusive area, Riverside, has magnificent views of the Breede River, the vineyards and the mountains surrounding the picturesque Breede Valley. The Silwerstrand Golf & River Estate is still one of the most affordable golf estates in the Cape. It consists of 168ha’s of prime land bordered by 1.5km of the Breede River and is just 2km south west of the rural town of Robertson. 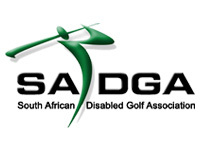 Die Boland Sanlam Kanker streeksfinaal het Saterdag 17 Augustus 2013 op Robertson Gholf klub se baan plaasgevind. 81 spelers het in die drie afdelings meegeding.